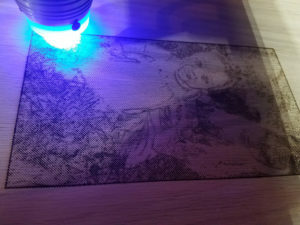 Images are burned into the wood with a 2-watt diode laser. A 5-x-7 image takes about 8 hours to burn with my current equipment. One day I hope to have a more powerful laser.